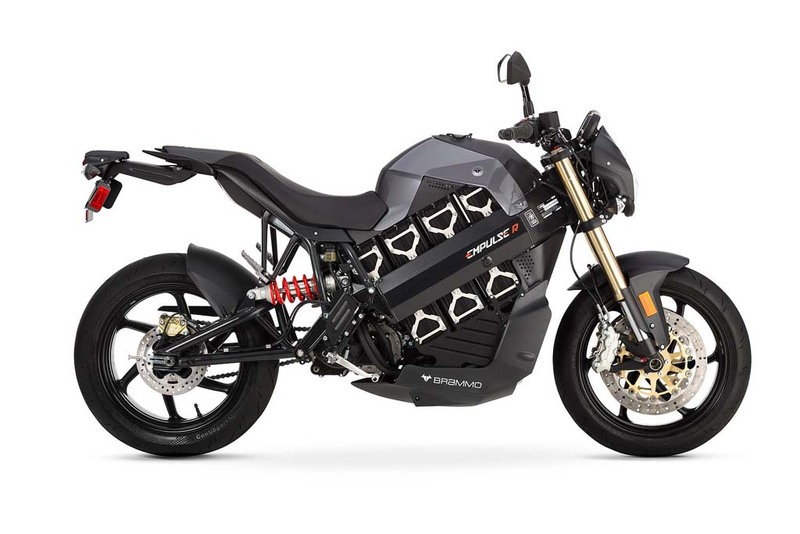 Brammo revealed its 2014 Empulse and Empulse R models, announcing a number of updates including a 10-pound weight savings compared to last year’s models. 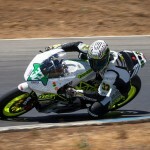 According to Brammo, the 2014 models weigh 460 pounds, down from the 470-pound claimed weight for the 2013 models. 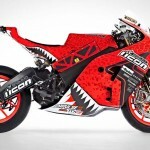 Brammo claims the lighter 2014 models can now reach a top speed of 110 mph, compared to 105 mph for their 2013 counterparts. Brammo also claims an improvement in range, saying the combined highway and city riding range increased to 80 miles from 77 miles. Other key changes include a redesigned LCD dash, tapered aluminum handlebar and a switch to Continental SportAttack 2 tires. The distinctive battery brackets have also been redesigned, now featuring a nickel plating. The motor is unchanged from last year, with Brammo claiming a peak output of 54 hp at 6000 rpm on the Empulse, while the Empulse R reaches that peak at 4500 rpm. Maximum torque is said to be 46.5 ft-lb. on the base Empulse and 66 ft-lb. 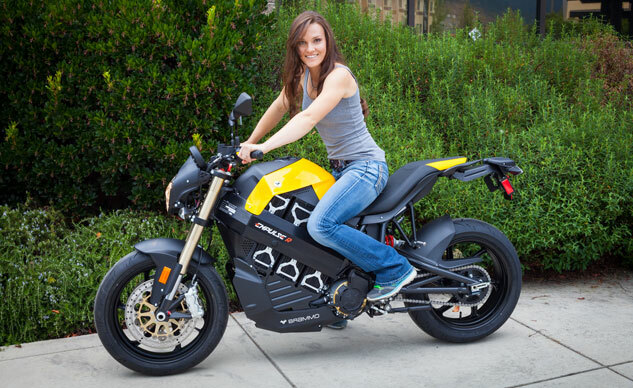 on the Empulse R. Power is again delivered through a six-speed transmission, still a rarity for an electric motorcycle. According to Brammo, the transmission can translate the motor torque to more than 650 ft-lb. at the rear wheel in first gear. The Brammo Power lithium-ion battery pack is also unchanged from 2013, with a nominal capacity of 9.31 kWh. 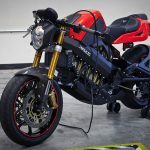 Brammo says the battery can be recharged from empty in 3.5 hours through a Level 2 public charging station and 8.0 hours from a Level 1 charger. 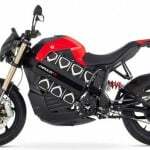 Brammo also claims the battery can go from a 20% charge to 80% in 2.0 hours with a Level 2 charging station. The Brammo Empulse is equipped with black semi-adjustable 43mm Marzocchi forks and semi-adjustable Sachs monoshock. The higher-performance R model is equipped with fully-adjustable front and rear suspension and can be easily identified by its gold fork and the red spring on the rear shock. 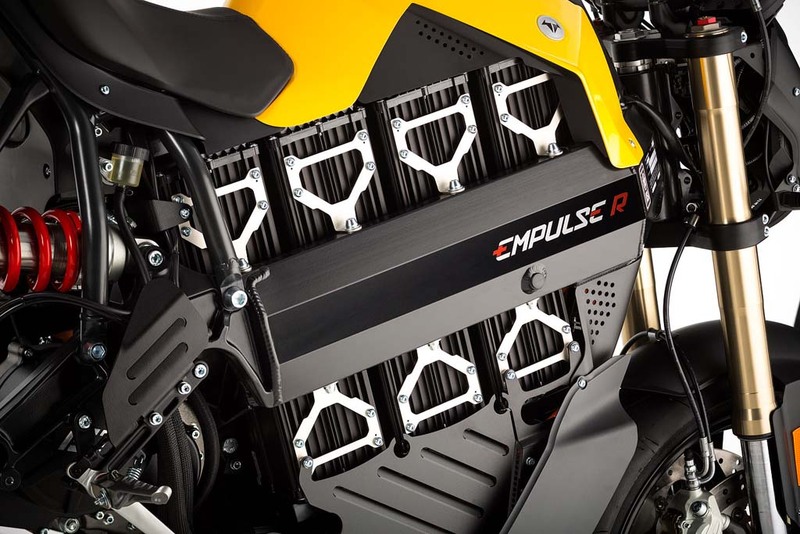 The 2014 Brammo Empulse and Empulse R will be offered in Neodymium Silver Metallic and Maillot Jaune Yellow, as well as the returning True Blood Red and Eclipsed Black colors. Brammo is pricing the 2014 Empulse R at $18,995 while the regular Empulse is two grand lower at $16,995.